On 22 March, Chinese President Xi Jinping arrived in Europe for an 11-day tour. From the Netherlands, to France, to Germany, and then to Brussels, it is a tour of many first times, for both Xi and his country: it is the first European tour since the president took office; the first time that a Chinese president visits the Netherlands since the two countries established diplomatic ties in 1972; the first time that Xi will participate in the Nuclear Security Summit; and the first time for a Chinese president to visit the European Union headquarters in Brussels, where, from 31 March to 1 April, Xi is scheduled to meet with European Council President Herman Van Rompuy, European Commission President José Manuel Barroso, and European Parliament President Martin Schulz. Nuclear security and deepening economic and trade relations between China and EU member states are high on the agenda. From a stuttering Europe China's recent rise has been both staggering and slightly ominous, a real reworking of the world order in favour of a vigorous East at the expense of a tired West. But can we extrapolate recent trends and see China dominating the 21st century, or will those seemingly ever-upward growth lines start to encounter headwinds? In January 2014, HSBC’s flash purchasing managers’ index (PMI) for China showed its first contraction in six months. PMI fell below the 50 percent threshold, and it has continued to decline, from 49.5 percent in January to 48.3 percent in February. If growth weakens, China could be heading towards a domestic debt crisis. Will the reforms announced in November after the Third Plenum of the 18th Chinese Communist Party Central Committee lead to a more sustainable model? In the short term, the reform programme does imply slower growth. 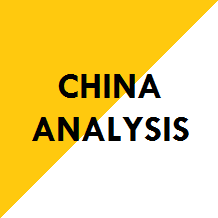 This week’s session of the National People’s Congress (China’s parliament, which meets once a year in March) could provide some important indications on how to read the weaker PMI and what reforms to expect in the near future. Right after the execution on 12 December of Jang Song-thaek, uncle of North Korean leader Kim Jong-un, North Korean diplomats were spotted at Beijing airport following a recall from Pyongyang. Then, on Sunday, 26 January, Seoul's Yonhap news agency quoted “multiple sources” about executions of Jang’s relatives: a sister and her husband, a nephew and his two sons. North Korea’s ambassadors to Cuba and Malaysia were also reportedly executed. Of course, “reports” like these – without identified sources – often appear in the Republic of Korea’s media on the weekends, and Seoul’s officials neither confirm nor deny them. While these reports do not rest on any factual basis, they fit into the overall picture of what has been happening in Pyongyang recently.